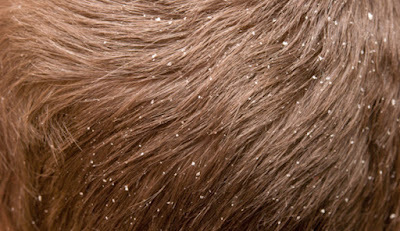 Hair fall occurs due to dandruff. This problem increase in monsoon. There are several remedies in ayurveda. Black Pepper & Curd: Its anti bacterial property removes dandruff. Mix two teaspoon black pepper powder in one cup fresh yogurt. Apply it on your hair. Wash it after one hour. Olive Oil: It gives moisture to dry scalp and helps to get rid of dandruff. Do massage with lukewarm olive oil at night. Wash your hair in the morning. Vinegar: It gives relief from fungus and bacteria. Boil 2 big teaspoon vinegar and cool it. Mix one big teaspoon water and do massage on your hair. Wash your hair after 15 minutes. Baking Soda: It removes fungus and dead skin. Mix one small teaspoon baking soda in shampoo. Wash your hair with this mixture. Coconut Oil & Lime: It increases the shine of hair and kills dandruff, bacteria. Mix one lime juice in little coconut oil. Massage on your hair with this oil. Wash your hair after one hour. Aloe Vera: Its anti bacterial and anti fungal properties remove dandruff. Massage your hair with aloe vera gel. Wash your hair after 15 minutes. Neem: Its anti bacterial, anti fungal and anti inflammatory property removes dandruff. Boil neem leaves in water. Wash your hair when it becomes cool. Ginger & Sesame Oil: Its anti inflammatory property helps to control dandruff. Mix half teaspoon ginger juice in sesame oil. Massage on your hair and wash your hair after half an hour. Mehandi: It helps to remove dandruff as well shiny-silky. Mix Amla powder, lemon juice and coconut oil. Wash your hair with tea water and apply it in your hair. Wash your hair after 30 minutes. Lemon: Lemon’s acidic property helps to remove dandruff. Mix one lemon juice in one cup. Wash your hair with this water.